As I reflect back over the years I recognize how being happy doesn’t mean to make everyone else happy. Nor does it mean you will love all people and/or situations. Actually it is the complete opposite. Gotcha! Did you really think I said that? I didn’t say anything, out loud. I only thought it. I do not need to tell you how much this man talked, but I can use it as a lesson. Using the tools to find your own happiness will be an advantage. However, do not mistake the fact that making other people happy is the same thing. In fact it is impossible. Life is meant to be fun, but remember there will always be that stranger who might rub you the wrong way. Or you may be put in a situation you feel irritated with everyone involved. It is the quickest way for you to recognize what you Do Not want so you can redirect quickly and go back to having fun! That guy reminded me of how happy I am that Eric doesn’t talk too much or that I don’t have to live or work with that man. Don’t you see being happy with you doesn’t mean making everyone else happy, but it’s okay. Because what’s BEST for ME is BEST for YOU! Instead of living a hurried, scurried, on fire all the time, making other people happy and attempting to be perfect all at the same time mentality; It is about coming together with actual peace, love and least resistance. Okay, I will admit that was a little deep! Please, bare with me. Again, what is BEST for ME, Is BEST for YOU! When and only when you understand that statement will all your amazing happy feelings come to you like a tidal wave. I know that statement is difficult to understand, but it is absolutely, 100% the truth. Once you allow everyone else to find their own feel good or happy feeling and you are operating your very existence in this manner, you will feel, have, do and be anything you want to be. Any experience YOU want! Trust that it is all going to be what’s best for you and allow it to be that way. The annoying people will still pop in from time to time. However, you will even find the good in them or the good in your encounter with them. Life is meant to live by having fun. Don’t waste another day or moment trying to MAKE everyone else happy. Begin with you and the rest will fall into place. 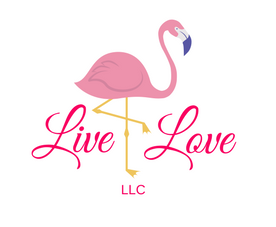 Livelove: Changing the world with one happy tool after another! This entry was posted in anxiety, Energy, Happiness, healing, Love, Not perfect and tagged awesome, behappy, Happiness, irritating, motivational on August 17, 2017 by teenadrake.